The CMT Level II Exam measures the candidate’s competency in the application of concepts, theory, and techniques covered by the required readings. The exam is four hours long, and consists of 170 multiple-choice questions. 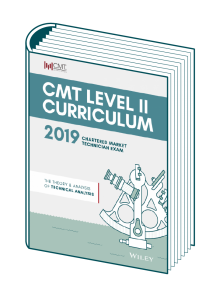 For additional information about the CMT Level II Exam, please consult the Exam Information document below for selected sample questions and a brief overview of the exam structure. This document is not meant as a study guide; rather, it is offered to acquaint you with the style and format of the exams. This chart illustrates the Knowledge Domains covered by the CMT Level II exam. Click on each domain to view sub-domain topics covered in each domain area.